Help kids learn and practice dolch words with this fun Candyland Sight Word Game. There are cards specifically for Preschool, Kindergarten, 1st grade, 2nd grade, and 3rd grade students. The printable sight word cards I created are intended to be used with a traditional Candyland board, but these cards or Candyland Inspired game is in no way licensed or endorsed by the makers of Candyland. I love making learning FUN! Here is a really fun way for kids to practice learning sight words. You know those words that appear in about 70% of books kids will read and many do not follow typical phonics patterns. They just need to learn them. And learn them really well! The easiest way for kids to learn sight words is with lots of repetition. There are age specific cards for: Preschool, Kindergarten, 1st grade, 2nd grade, and 3rd grade kids. The game is played like the traditional Candy Land except that kids must read the sight word on the card they draw before they can move their piece. One of my favorite things about this sight words game is that my kids can all play together. The sight word cards are all color coded by level. So as we play, my Preschooler only reads the Pre-Primer Sight Words, my 1st Grader reads the Pre-Primer, Primer, and 1st grade words and my 3rd grader reads all the words. This can be done by keeping separate piles or making one big one and just using the color code to read the ones that your child should be able to read. 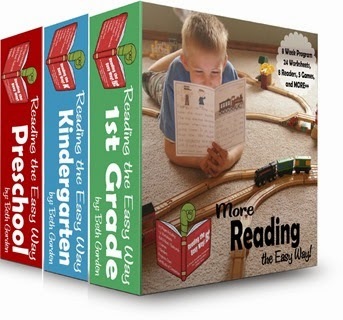 Mastering Sight Words the EASY Way! If you are looking for a structured way to ensure your child masters all the sight words by grade you must check out Reading the Easy Way!